Larger pistons (87mm) and a mild Cam (.420″ Lift and 278 Duration) make this VW engine the ideal choice for a low to mid range performance increase while still retaining the low maintenance, reliability and fuel economy of the stock 1600 cc VW engine. All JCS Turn Keys include the wider (23%) Cooling Fan, more efficient ‘Dog House’ style Fan Shroud Housing and Aluminum Oil Cooler Case Cases are first hot tank, then thoroughly washed by hand. The cylinder base area is decked and surfaced on a Bridgeport Mill to set initial deck height alignment between all four cylinders and and to eliminate oil leaks at the base of the cylinders. Case inserts or “Case Savers” are installed, Align Boring and all remaining machine work is done and then the case is thoroughly cleaned again and painted. VW Connecting RodsLate style 1600 rod cores are shot-peened, sandblasted and checked for straightness. New wrist pin bushings are installed then rods are bored and honed center to center. JCS uses only 1600cc style “crossdrilled” crankshafts for it’s superior oiling properties. Cores are shot peened, sand blasted, then carefully inspected for cracks, straightness and damage to the dowel pin holes and threaded ends. Cranks are reground to exact specifications, micro-polished and a thread chaser run on both ends. Only German flywheel cores are first inspected for worn or damaged teeth, dowel pin holes and clutch disc mating surface wear to make sure it has not been worn or cut too deep. After shot peening and sandblasting the seal area is polished, the dowel pin hole area is faced to ensure proper mating to the crank and then precision ground and polished to exact specifications. Made from die cast aluminum alloy the pump housing is fully machined to exacting tolerances. Larger 30mm steel gears provide increased oil pressure during low speed operation. Pumped oil volume is increased by 30% – 40% over stock promoting lower operating temperatures. 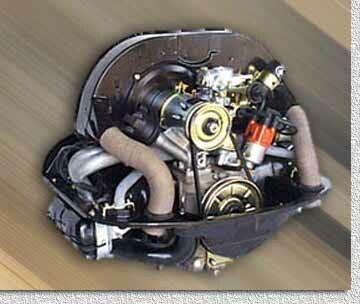 Fast trouble free cold weather starts are assured with a brand new electric choke Solex carburetor. The all new Solex 34 Pict costs less than many so called factory rebuilt units and will out perform OEM factory supplied carburetors The 34 pict carburetor offers many engineering features that will help eliminate flat spots, bogging between shifts and poor mileage.